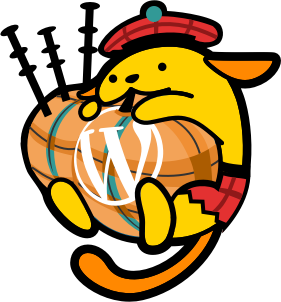 When I thought, I’ve pretty much covered going to WordCamps for 2015, I’ve decided to squeeze in another one… visiting Scotland! Why not!? The organising team put together an amazing event in record time (something like 8 weeks…), including excellent talks and hospitality. They should definitely get some sort of prize of how quickly such a successful event was put together. The same can be said for the speakers, every WordCamp I attend never fail to teach me something new. 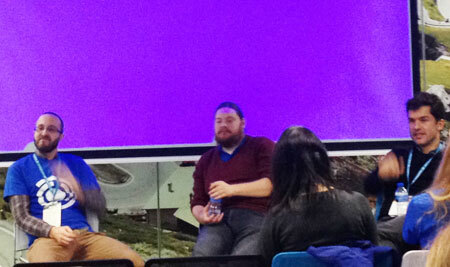 WordCamp Edinburgh took place Saturday, 21 November 2015 – a crisp cold sunny day at SkyScanner’s offices. The day was divided into two tracks of talks, with the one focussing on WordPress development/code and the other on WordPress content management. I ended up focussing my day on the WordPress development talks, kicking the day off with Mark Wilkinson’s talk on Beyond FTP – my WordPress development workflow. He mentioned the most popular different version control options and how he uses Git. I am rather comfortable with my own workflow, but found the discussion afterwards, about database versioning, valuable. This part still seems to be tricky for most people. 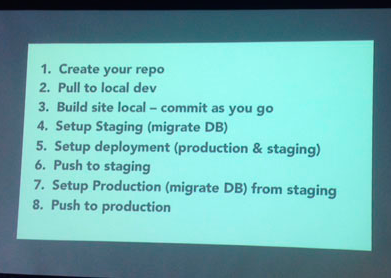 There were reference by folks in the audience to WP Migrate DB Pro by Delicious Brains and WP CLI. Opening up the conversation around WP CLI, I am excited to look into this option. The topic of the next talk is a good one to have at any WordCamp these days, since the use of WP Customizer for themes has become compulsory when submitting your theme to the WordPress repo. Building themes with the WP Customizer API by Dave Green gave a good insight to what the WP Customizer is about, what you can do with it and he shared a few examples and resources. Make sure to check out his slides he made available online. In Sam Parsons’ talk, No constraints – building an MVP with WordPress he shared a story of when he was working at the University of St. Andrews. There are a lot of people involved making decisions, which made it harder for the tech team to convey their ideas and use the best approach for a task. They managed to get 4-6 weeks to use their own research and ideas to build a realistic prototype and digital pattern library, using WordPress. He also goes through the steps and methods of how they used WordPress to do this. The finished result conveyed their approach so well that the decision makers at the university ended up agreeing to this direction. Seeing the ideas ‘in real life’ definitely did the trick. The morning ended with Lightning Talks before lunch. This is a (not so) new format at WordCamps these days, where anyone can sign up to give a 5 minute presentation. After everyone had their 5 minute talk, the was an opportunity for questions to any of the speakers. This usually lead to nice open discussions. The afternoon sessions in the code track seem to have had a general topic of WP Rest API. Most of the talks and discussions was about this new kid on the block, not much surprise there. I was happy about this, because at this stage I feel I can not hear enough about it and I am trying to learn as much as possible about it. This was certainly the right place for me to hang out for the rest of the afternoon. Tim Nash (in the photo above) with his talk Will the REST API change the world? ran through the basics of the API and discussed a few things you can do with it. After hearing him speak I’m quite keen to take on his WP-API Online Course. Up next was Sergio Estevao’s talk on How to develop an iOS app using the REST API. This really sparked some ideas. He created an iOS app version of this websites, using the endpoints from the WP Rest API to populate the data from the WordPress version of his website to the iOS app. Thus there is no need for a custom CMS for the iOS app, when can just get all the latest data from the WordPress version of the site. Find out more in his slides here. Another popular format at WordCamps these days is a panel discussion about a hot topic in WordPress. WordCamp Edinburgh did not go without one either. Following on from the previous talks, the panel lead by Nate Wright kicked off the discussion between Tim Nash and Sergio Estevao, still on the topic of WP Rest API. The we chatted about WordPress in general and the future of web development. Last but not least was Jason Agnew’s story, Open source: the story of Herbert. At the beginning of his story, taking on a big contract lead to high stress, burnout and eventually imposter syndrome. He came to a point in his life where he decided to focus on a WordPress plugin framework instead. This made him fall in love with coding all over again and the response to this framework gave him confidence again. The story continues how his pet project transitioned into a collaborative product and how he learned to accept that it is okay not to know everything. Make sure to check out his slides here. The day end on a positive and high note with closing remarks. This rolled on to the afterparty at newly opened The Whistle Stop Barber Shop, catered with drinks and amazing snacks.